The brain normally produces cerebrospinal fluid daily via the choroid plexus (a network of vessels) situated over the ventricular system. There are two lateral ventricles, located on each of the brain hemisphere. The fluid from both lateral ventricles enters the 3rd ventricle, then passes through a narrowing, the aqueduct of Sylvius (a common site of obstruction giving rise to obstructive or non-communicating type of hydrocephalus) into the 4th ventricle. From the 4th ventricle, via three openings (foramina of Monroe and Luschka), the CSF empties into the subarachnoid space that covers the entire brain and spinal cord. From the subarachnoid space, the fluid is reabsorbed into the venous system via the arachnoid granulations. Sometimes the latter may also be obstructed by blood clots or fibrosis, such that CSF accumulation leads to the communicating type or non-obstructive type of hydrocephalus. A male preterm infant was delivered and as expected, he had complications on his breathing requiring surfactant administration and ventilatory support. 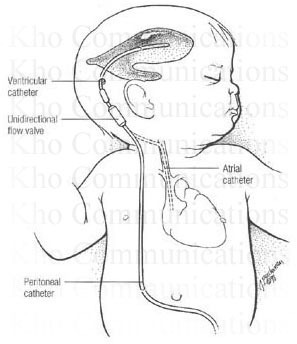 After a few days, baby was being weaned off from oxygen, but was noted to have some fluctuations of his oxygen saturation, necessitating increasing or decreasing of the oxygen by nasal catheter, but not to the degree of using a continuous positive airway pressure or higher mode of delivery. Chest x-ray done during this occasion revealed pneumonia which also prompted shifting of antibiotics when the previous ones didn’t seem to afford relief. It took some time before oxygen was totally weaned off. The next thing that we were watching on this baby was his weight gain and his transition from gavage feeding (feeding via orogastric tube) to oral or breastfeeding; he can not tolerate to swallow more than 1 mL for quite some time. During these days, it was also noted that the midline suture of his skull was wide and gaping, prompting a consideration of hydrocephalus. Immediately, a cranial ultrasound and referral to pediatric neurologist was done. Ultrasound indeed confirmed the presence of hydrocephalus, communicating type. 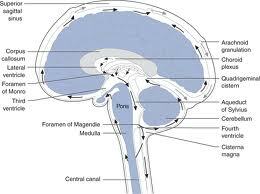 (It means that the aqueduct of Sylvius is intact and functional, but the arachnoid granulations is the site of obstruction; there is normal rate of production but there is obstruction at the site of reabsorption). This is highly suggestive of a previous intraventricular or germinal matrix bleed. As a form of treatment, baby was given a loop diuretic, a carbonic anhydrase inhibitor (this inhibits carbonic anhydrase, the rate limiting enzyme in the production of CSF), and serial lumbar puncture to drain CSF as much as possible, every 2 – 3 days. 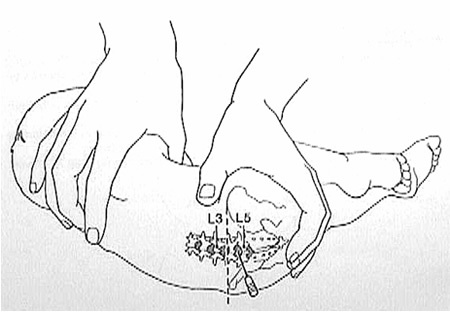 Of course, we provided some analgesics to the baby prior to the puncture to minimize or eliminate pain. And since we did not observe drastic increase in the head circumference of baby, we decided to stop doing the serial taps after two weeks but kept a close eye on the circumference monitoring. Fortunately, the neurosurgeon was at bay didn’t do yet the shunting procedure and advised close monitoring. The shunt in itself has a lot of risks, and some common complications include infection and malfunctioning, requiring removal and re-insertion of a new one as the need arises. With the parents close cooperation, the procedure did not ever take place. The baby seem to have improved. His medications were discontinued and thereafter, the head didn’t grow more than expected rate.